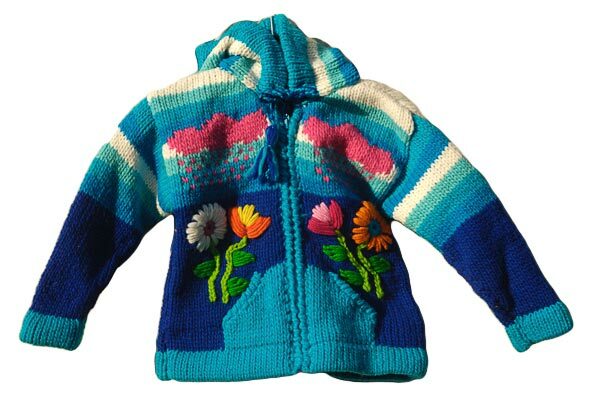 Attractive Blue sweater with flower designs. 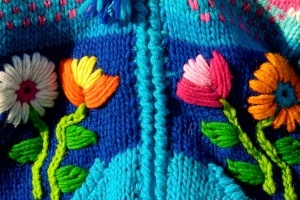 A Girl's Blue handcrafted sweater from Ecuador. It has flower designs on the front with an attractive blue coloured back. Made from 50% wool and 50% cotton it is very warm and looks great. The pixie hood looks cute and is very practical. A unique and original sweater. 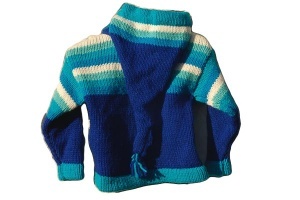 Range of colours on this kid's sweater size 2. Pink Baby sweater size 0.